By the end of 2017, we diverted from landfills 81 percent of unsold products, packaging and other waste materials in the U.S. and 78 percent* globally. In 2005, Walmart began to look at the interplay of waste and usable materials and to seriously examine our own operations, looking for ways to reduce waste of all kinds. Today, we have a deeper understanding of the challenges and are engaging suppliers and customers in pursuit of the circular economy, in which products are made, consumed and recycled in a continuous loop. We look to the Ellen McArthur Foundation approach of maintaining materials at their best and longest use. By the end of 2017, we diverted from landfills 81 percent of unsold products, packaging and other waste materials in the U.S. and 78 percent globally*. Total annual waste generated from operations in the U.S. in 2017 has decreased by 1 percent, compared to the 2016 amount. Achieve Zero Waste** in our own operations in Canada, Japan, the U.K. and U.S. by 2025. Continue working to divert waste in all other markets, moving as fast as infrastructure and best practices allow. Aiming for Zero Waste** in our operations in Canada, Japan, the U.K. and the U.S. means we have set a goal that is intended to go beyond the Consumer Goods Forum Food Waste Resolution relating to halving the food waste*** in our own operations by 2025 (vs. 2016 baseline). Work with suppliers and customers to prevent products and materials from becoming waste upstream and downstream in pursuit of a more circular economy. 78 percent of waste diverted globally* from landfills in 2017. While we have made progress, achieving these goals will require even more from our associates and our operations. As in all our programs, we seek to improve technology and data collection to enable fact-based decision-making and to maximize impact. 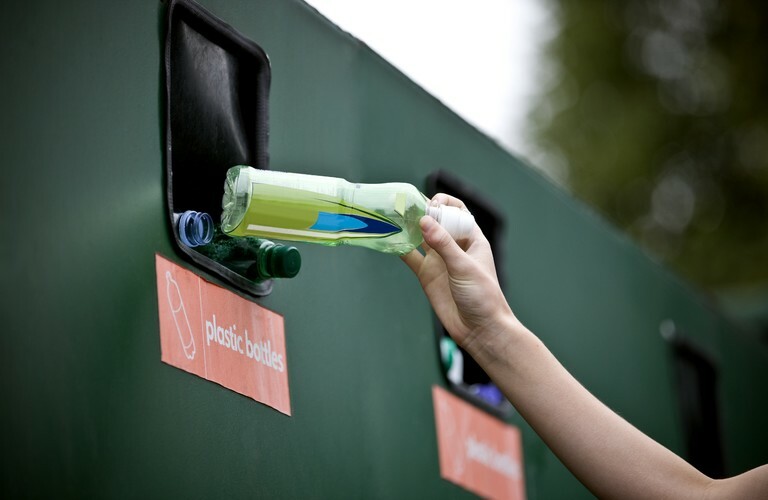 We will also focus on collaboration with customers, suppliers, other retailers, nonprofit organizations and governments to help improve the broader ecosystem of waste prevention, reuse and recycling. In many places around the world, for example, there is simply not adequate recycling infrastructure and even where it exists, recycling may not be financially viable. We aim to catalyze the development of system-level solutions for reuse and recycling across the sector and throughout our supply chains—not just at Walmart. *Based on review of material handling and waste diversion processes in Argentina, Brazil, Canada, Central America, Chile, Japan, Mexico, South Africa, U.K. and U.S., as reported by waste vendors, food banks and stores. In cases where real numbers were not available due to industry challenges, they have been estimated based on industry acceptable standards. **Meeting or exceeding Zero Waste International Alliance business recognition program requirements, which include adoption of ZWIA definition of Zero Waste and achievement of 90 percent or more diversion of all discarded resources from landfills, incinerators and the environment. ***Measurement metric = total weight of non-diverted food in pounds (i.e., landfill and controlled combustion without energy recovery) / total weight of all food sold in pounds.